Hello! I have a new brand to the blog today. These eight polishes are part of Polished by KPT Winter 2015 Cosmic XOdus II Collection. Part One of this collection series was released last December, I remember lusting over Lacquerstyle's blog review of that collection so I was excited to learn that there would be a new set for 2015. This was a stunning collection to review. I love how rich all the polishes looked and how smoothly they applied. I also received a couple of cuticle oil pens from Polished by KPT, if you are looking for a new one to try out, I can definitely recommend them, you can find a selection of the scents that are carried in her shop here. 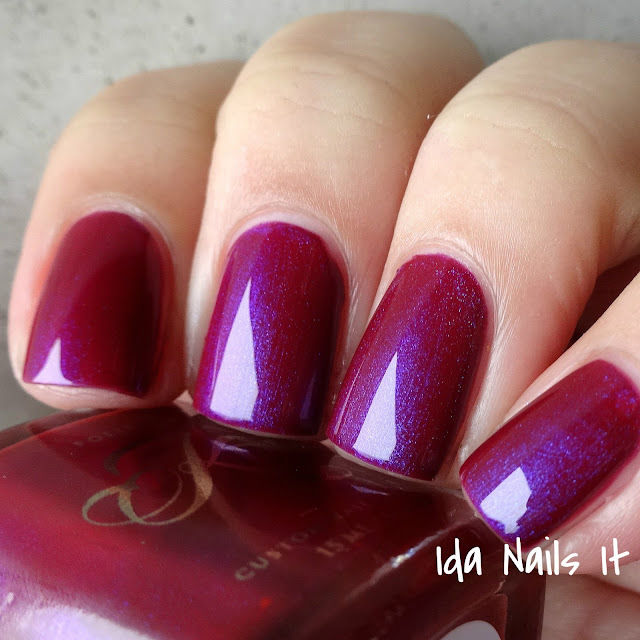 A few of these are thermal polishes and as I take most of my photos outside, with the recent colder weather, I could not take a warm state photo despite my best efforts. To see the photos of the three thermals in both warm and cold state, check out Cosmetic Sanctuary's review. The Cosmic XOdus II Collection will be available Saturday, December 12th at 12 pm PST in Polished by KPT's shop. Black cherry is what came to my mind with this color. It's very opaque needing two coats for coverage. Very much a "glows-from-within" polish which, yes I know that is a much used description but when it fits, it fits. Not a striking change in color-shift but has a more subtle color shift flash. Damn. 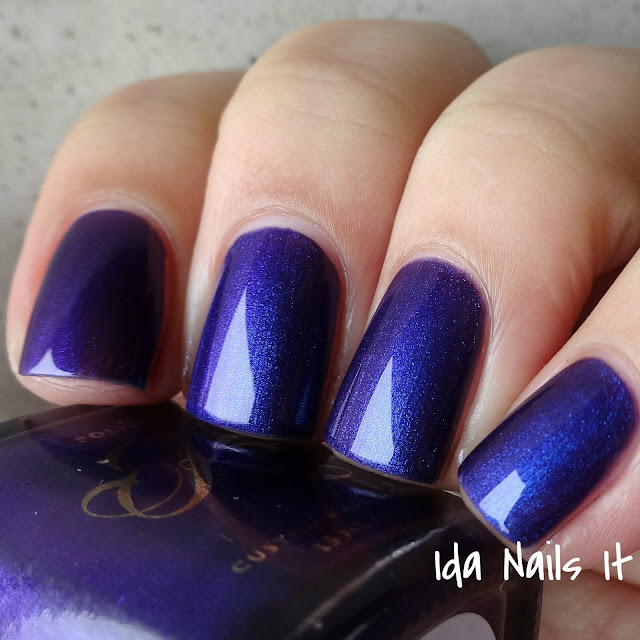 This is one stunner of a polish. I usually name a favorite and I think this was my favorite of the set. Easy application as well. 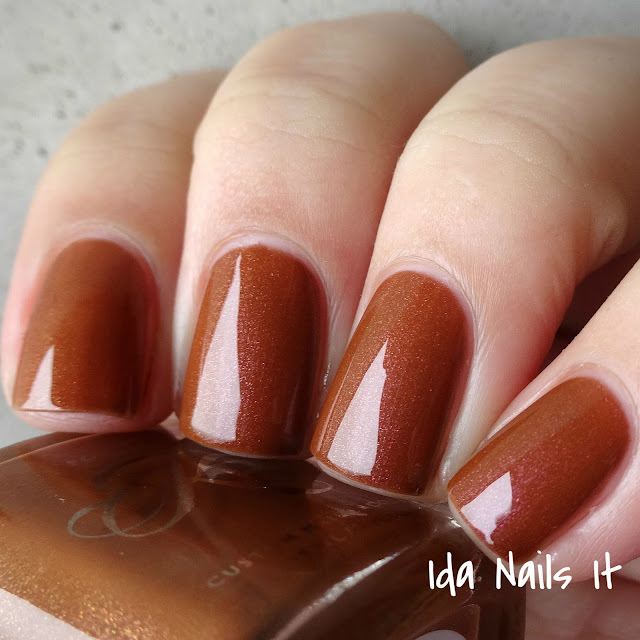 I wasn't 100% sold on this one in the bottle but on the nail the brown coloring is quite pretty, especially with that complimentary shimmer. Nice formula consistency, I felt like this had a bit more of a crelly feel to it and two coats was all I needed for coverage. 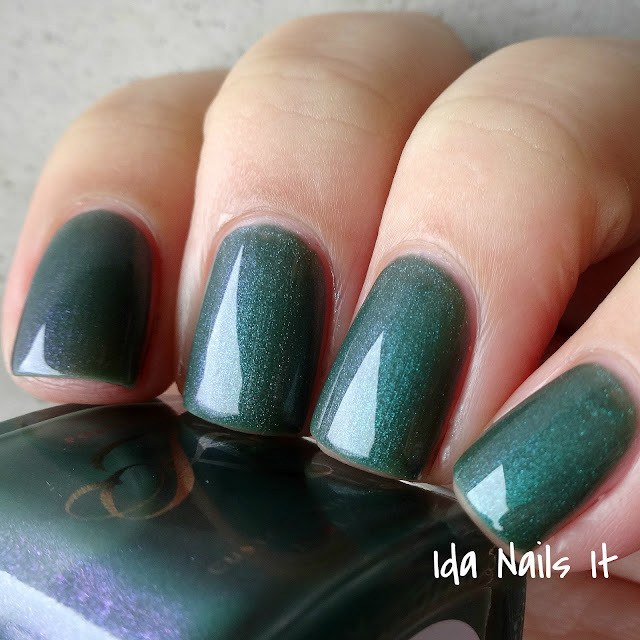 Cold state is this darker teal green, in warm state it will be a much lighter, translucent green. That shift is subtle but so visually interesting. I like the earthy green coloring that matches it's name. 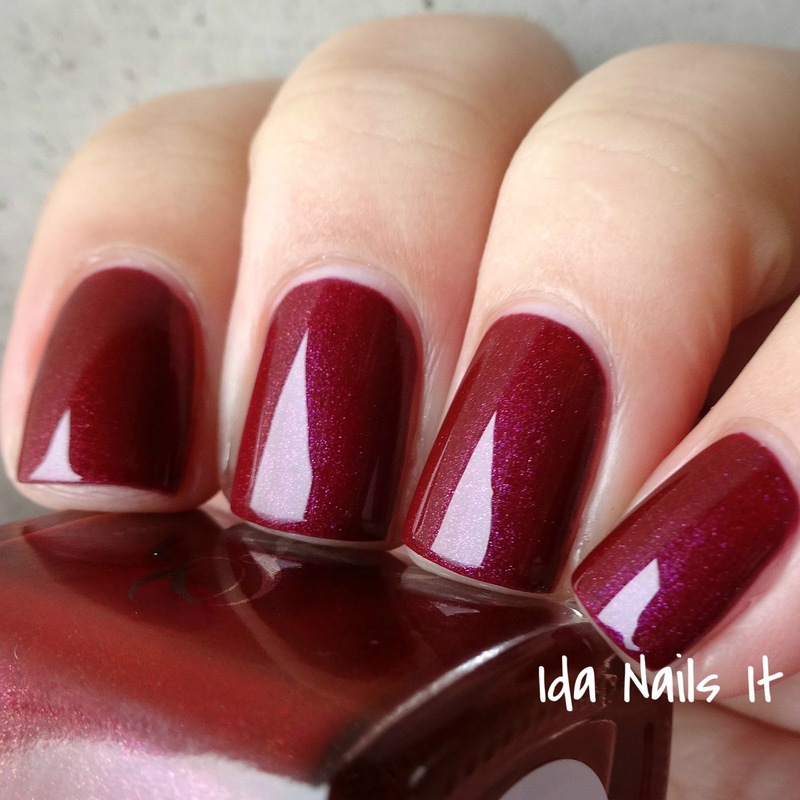 When applying, you will likely see the warm state on your nail (and I am generally a warm natured person), so I applying three coats for coverage. This is actually a thermal version of Electromagnetic though it's a tad lighter in color. 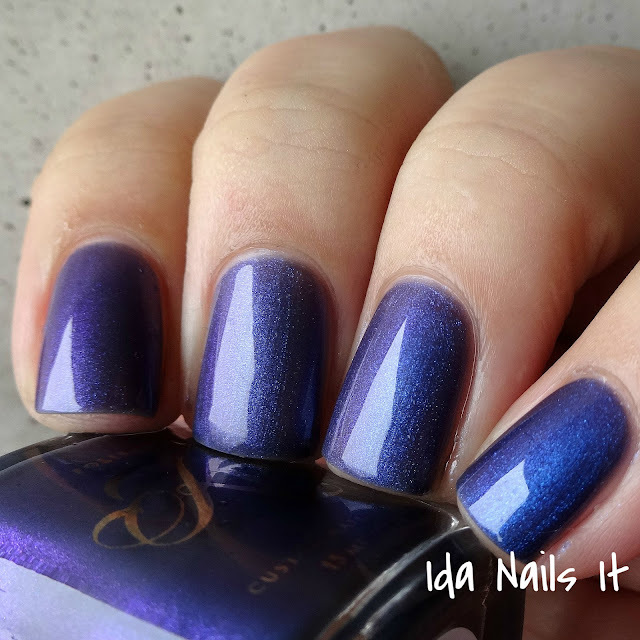 In cold state you will have this darker blue shimmer and in cold state, you will see a translucent blue color. 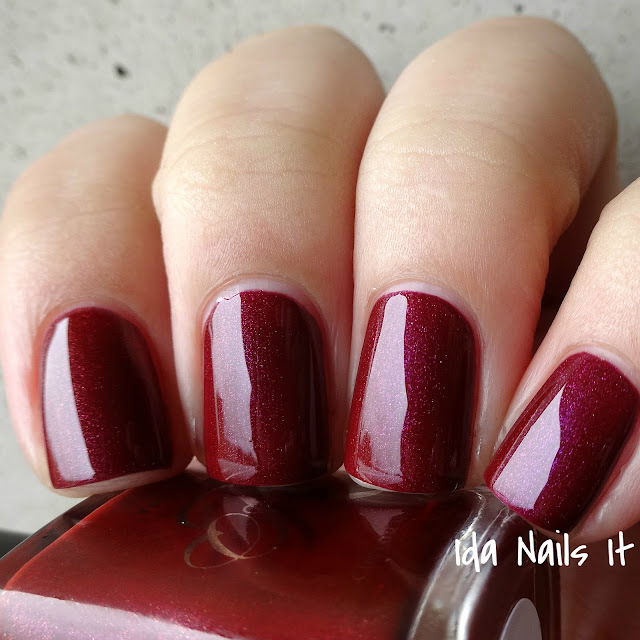 Same formula as Gaia, so this is shown with three coats. 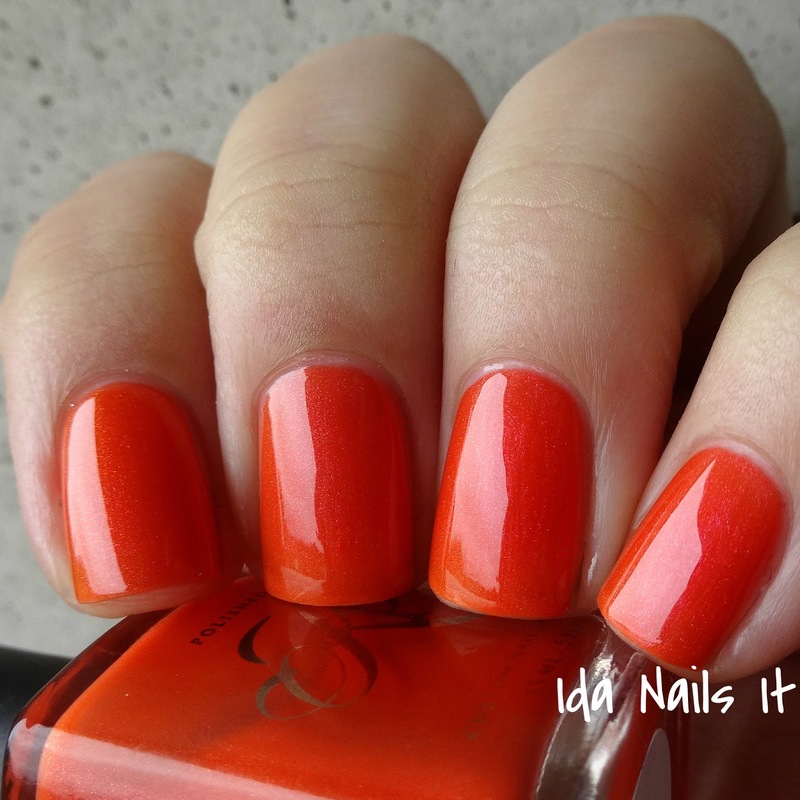 So fiery and bold and my favorite of the three thermal polishes. 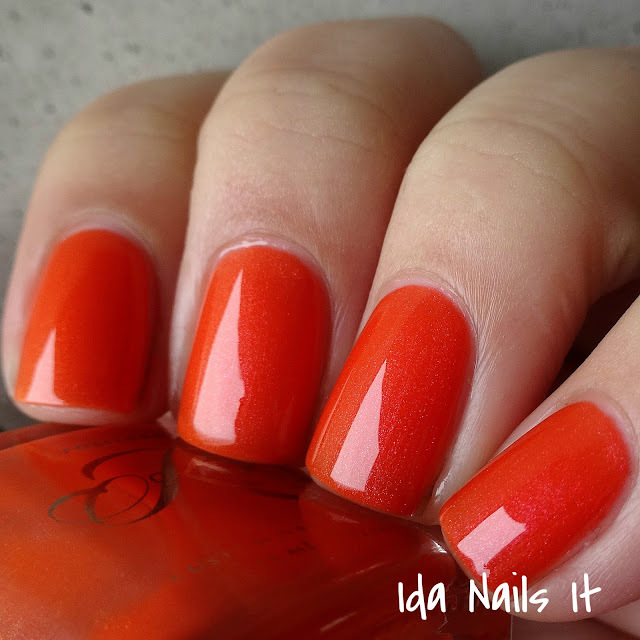 This is darker orange is the cold state, in warmer temperatures, it will be a translucent peachy orange. I want to layer Snow on Saturn over EVERYTHING. 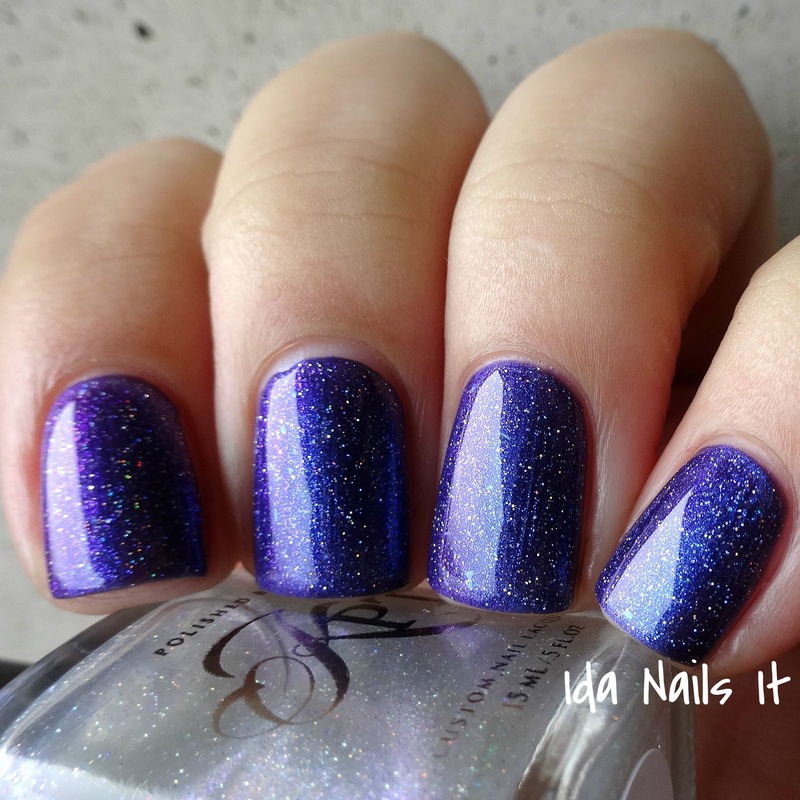 I love glitter toppers like this, that are so versatile and which give you an extra oomph of sparkle to whatever you apply it over. 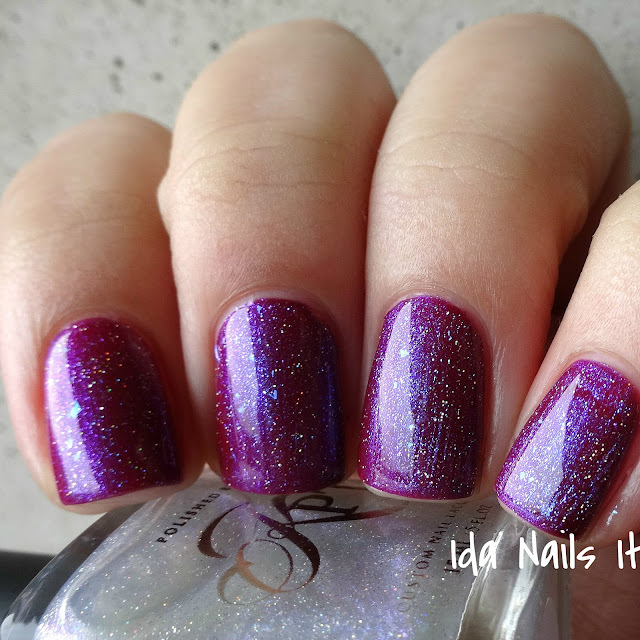 The color-shifting shimmer is strong but not over-powering and with one coat, you will get a nice amount of coverage. I have it shown over two other colors from this collection, though you will most definitely want to wear it over black as well.